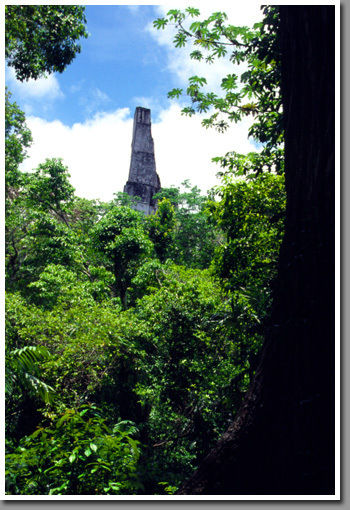 Pyramid of Tikal - Great Mayan city forgotten for hundreds of years and overgrown by jungle. Rediscovered in 1848. Chosen by UNESCO as a World Heritage Site.